Echocardiography uses sound waves to make images of the heart. In transesophageal echocardiography (TEE), the ultrasound probe is passed down the throat and in to the esophagus. The esophagus is the tube that goes from the throat to the stomach. The esophagus sits very close to the heart. This method allows for clearer images of the heart than other methods. Avoid alcohol for several days before the procedure. Alcohol may interfere with the type of sedative used. Do not eat or drink for 4-8 hours before the procedure. Arrange to have someone give you a ride home after the procedure. You will be given a mild sedative through an IV. You will be sleepy throughout the procedure. A topical anesthetic may also be applied to the back of the throat. This will numb the throat. You will be asked to lie on your side in a hospital gown. The ultrasound probe will be slid down your throat and into the esophagus until it is near the heart. The device will create active images of the heart. When the imaging is done, the probe will be taken out. There may be some mild discomfort during the procedure. Most people sleep through the procedure and remember very little of it. Your throat may be sore for a few days. You will need a ride home from the procedure. Do not eat or drink until the numbness in your throat wears off. This will keep you from inhaling food or drink into the lungs. Talk to your doctor about the results of the test. General ultrasound. Radiology Info—Radiologic Society of North America website Radiology Info website. Available at: https://www.radiologyinfo.org/en/info.cfm?pg=genus. Updated May 30, 2016. Accessed March 2, 2018. Hilberath JN, Oakes DA, Shernan SK, Bulwer BE, D'Ambra MN, Eltzschig HK. Safety of transesophageal echocardiography. J Am Soc Echocardiogr. 2010;23(11):1115-1127. Transesophageal echocardiography (TEE). American Heart Association website. 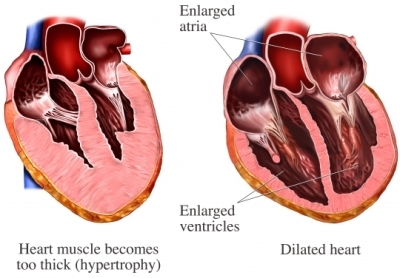 Available at: http://www.heart.org/HEARTORG/Conditions/HeartAttack/SymptomsDiagnosisofHeartAttack/Transesophageal-Echocardiography-TEE%5FUCM%5F441655%5FArticle.jsp#.WpmUfWrwZxA. Updated October 13, 2017. Accessed March 2, 2018.